Why bellydancers should eat Ghee. In a recent interview an American socialite, television personality and fashion designer Kourtney Mary Kardashian explains that she drinks a teaspoon of liquid ghee first thing every morning for beauty reasons. And the scientists agree that ghee does have cosmetic properties that benefit hair and nails. But is this the only benefit ghee has? In all respects, ghee is a unique product and it is recommended by doctors to all people, especially for those, who engaged in physical activity. Ghee is a clarified butter. Indians call clarified butter (ghee) as a “liquid gold” for its unique benefits. It has been used in Ayurveda medicine for many centuries. Now various scientific studies have also proven that ghee is a useful product which has lots of benefits for the human body and mind. What are the Health Benefits of Ghee. Although saturated fatty acids are associated with high cholesterol levels and heart diseases, a little bit of it is necessary for various body functions such as brain development, improving immunity, bone health and nerve functioning. Ghee is made up of short chain fatty acids that are easy to digest and can be easily converted into energy. It strengthens the immune and nervous systems. It lubricates the connective tissue and promotes flexibility. In Ayurveda ghee is considered beneficial for the whole body and mind, and known to balance them. It is free from hydrogenated fat and trans-fat which poses many health risks. It has antiviral and anti-cancer properties. Ghee is good for nerves and brain. 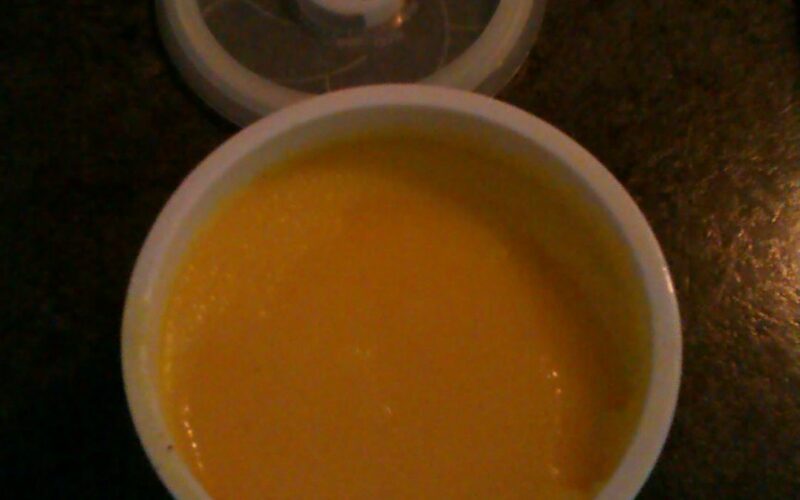 It contain vitamins like A, D, E, and K. Vitamin A is naturally present in ghee which is lacking in other edible oils. It has high smoking point (the temperature at which oil break down and produce harmful cell damaging radicals) which make it a better choice for frying and cooking. Bellydancers should eat Ghee for health and beauty. Just include 1-2 tsp. of ghee in a day to get its benefits. Happy eating, but keep a tab on the amount. How to find a Professional Bellydance Teacher in East London. The hunt for a professional bellydance teacher in East London can be tricky, especially if you are completely new to the bellydance scene. It is, however, important to find the right class and the right teacher for you. Sometimes it may not be easy to find a professional bellydance teacher in East London within easy reach from where you live and whose teaching style is suited to your needs. You can look for ads on the internet, in the local papers or go and check leisure centres, cultural associations and gyms where they may have bellydance classes. Once you found bellydance classes you should decide: What exactly are you looking for? Well, that depends on what you wish to gain from the classes. Ask yourself if your ultimate goal is to perform professionally, to just have fun and learn a few moves, or to find a new way to work out or to just socialise. In most areas, there are many different types of classes, but whatever your goals, there are a few things to keep in mind. You should make sure that a teacher has some credentials. Professional bellydance teacher should be a professional in the business, because her/his main task is not just to teach students how to bellydance, but also to support them and discover their potential, increase their self-esteem and bring bright colours in their lives. Professional bellydance teacher must use an individual approach to each student, but at the same time work with the whole group. Professional bellydance teachers play a significant role in learning process as they not only teach the basic movements, but also they teach how to feel, hear and use the music and rhythms. Bellydance classes are an ideal opportunity to express yourself creatively and to improve body balance, concentration, posture and flexibility. FREE TASTER CLASS on Wednesday 6 February 2013, 7:00 pm! Beginners Level (Level 1) 6 week course starts on 13 February. 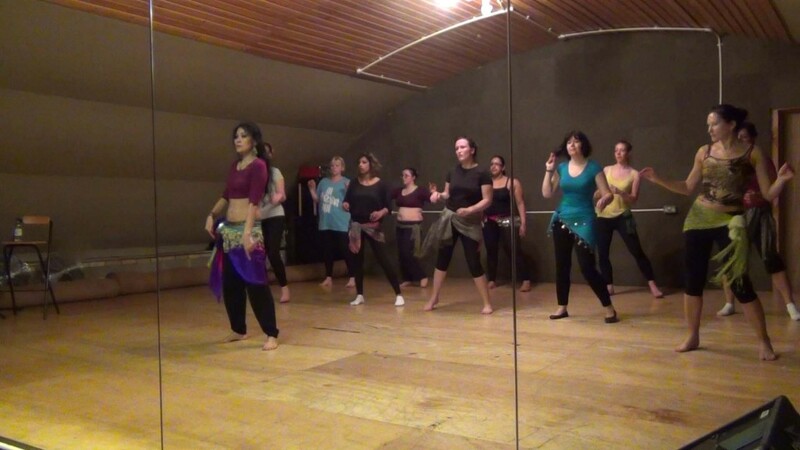 Each bellydance class consists of warm up, drills and techniques broken down in an easy to follow way, choreography combining what was covered in the class and finally a cool down and stretching. The improvers bellydance classes are suitable for those who feel confident with basic moves and are looking to further develop and strengthen their technique and performance skills. This course is suitable for those students who have completed at my 6-week beginners course or have taken bellydance classes before at another dance school. Also for those students who would like to practise basic technique and combinations at a more relaxed pace than the Intermediate Course. Intermediate bellydance classes are focused on more challenging bellydance choreography which students could then have the opportunity to perform in front of a live audience. Bellydance is more than just a workout; it enhances wellness as it combines the use of mind, body and spirit and is suitable for all ages, sizes and shapes. On my bellydance taster class you will experience the art of bellydance through learning some hip, chest, arms movements and you will have the general idea about this graceful and feminine dance. Taster class is ideal if you are unsure whether you want to sign up to a bellydance course, try the class first and discuss any questions you might have with teacher. 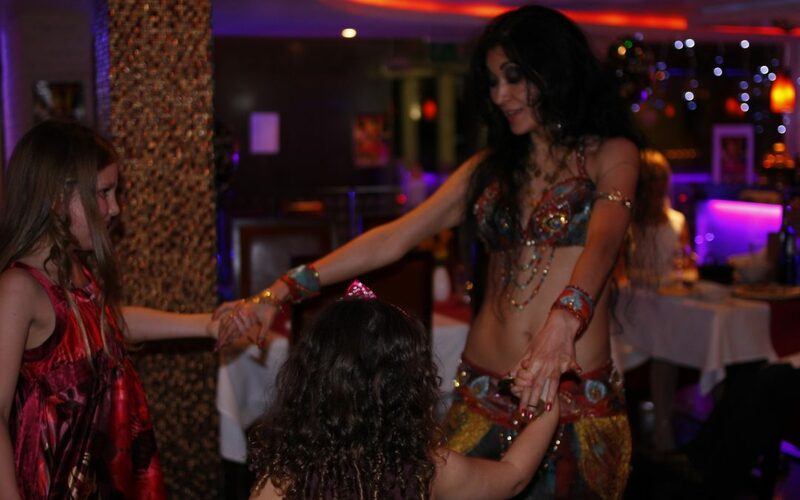 East London bellydance is becoming very popular as East London is a vibrant and culturally interesting area. It is populated with people from all over the world. Most of them are natives from the Eastern countries, such as: India, Pakistan, Egypt, Greece, Turkey, Cyprus, Iran, and Lebanon. Where bellydancing is a part of traditions. It is performed in restaurants, weddings, parties, family events and celebrations. Because bellydancing in the East is a symbol of beauty, femininity, fertility and prosperity. Apparently, bellydancing is one of the most popular dance forms in the world and finds fans and followers among the people of different cultures. In London the heart of Europe you can find lots of different dance styles, nothing can be compared with bellydancing by its beauty and benefits. This is why East London bellydance is so prevalent. Even though belly dancing is often associated with harems and the Middle East, it is one of the first dance forms created by humans. Interestingly enough, both women and men are taught belly dancing in Oriental and African cultures. Therefore, regardless of your gender, age and body type, you may to try taking bellydancing classes. You will enjoy learning about this ancient art, as well as developing a unique skill. If you are looking for a fun, exciting way to get some exercise, bellydancing may be ideal for you. Bellydancing will give you a good aerobic workout, plus it is much gentler on your joints. In addition, bellydancing motions encompass your entire body and are a good way to improve posture, balance, and grace, therefore, you will be able to tone your muscles at the same time. Aside from this, if you are interested in losing weight, bellydancing can give you plenty of motivation to do whatever it takes to look your best. Saeeda is a professional instructor, performer and choreographer based in London. She likes teaching bellydancing classes in East London and supports people’s desire for beauty, health and harmony. Saeeda is deeply assured that bellydancing with its uncountable benefits can change and improve women`s lives. Bellydancing classes are ideal for both, big groups and small groups of friends and family members. You may even want to take classes privately, as well as with co-workers and your neighbours. Change your life now, learn bellydancing in East London with Saeeda.